The theme for today’s tour was the Judean Mountains. Many people outside Israel refer to these as hills, but I checked the definition of a mountain and there was nothing there to say what height they should be, so I am sticking with a literal translation of the Hebrew, which definitely refers to them as mountains (and at up to 1000m, I think it is fair enough). The area stretches from the middle of the west bank down to the area of Beer Sheva, but our trip today was focused on areas which were all within Israel’s pre-1967 borders, in the area known as the Jerusalem Corridor. We began our tour at Motza. If you’ve driven to Jerusalem on route 1, it’s very possible that you have driven past it on many occasions, without paying it a second thought. 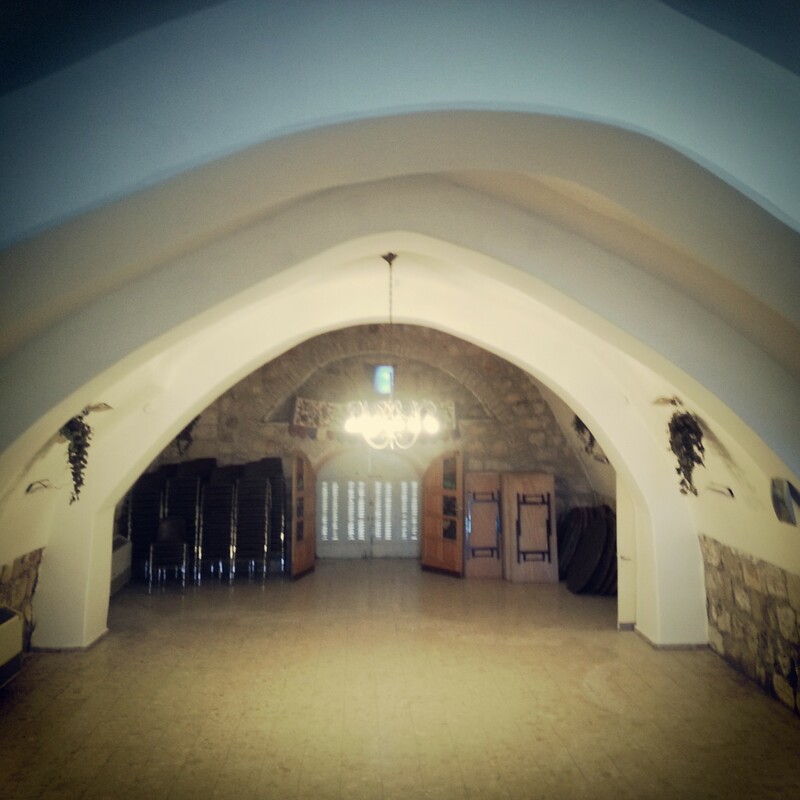 It lies just outside the city limits, in the valley from which you make the final ascent to Israel’s capital. We visited the restored home of the Yellin family, who founded the modern day settlement in the late 19th century, and heard about the modern story of the site. We also visited the ‘ancient’ synagogue, so called as it was built in ruins from the Byzantine period. 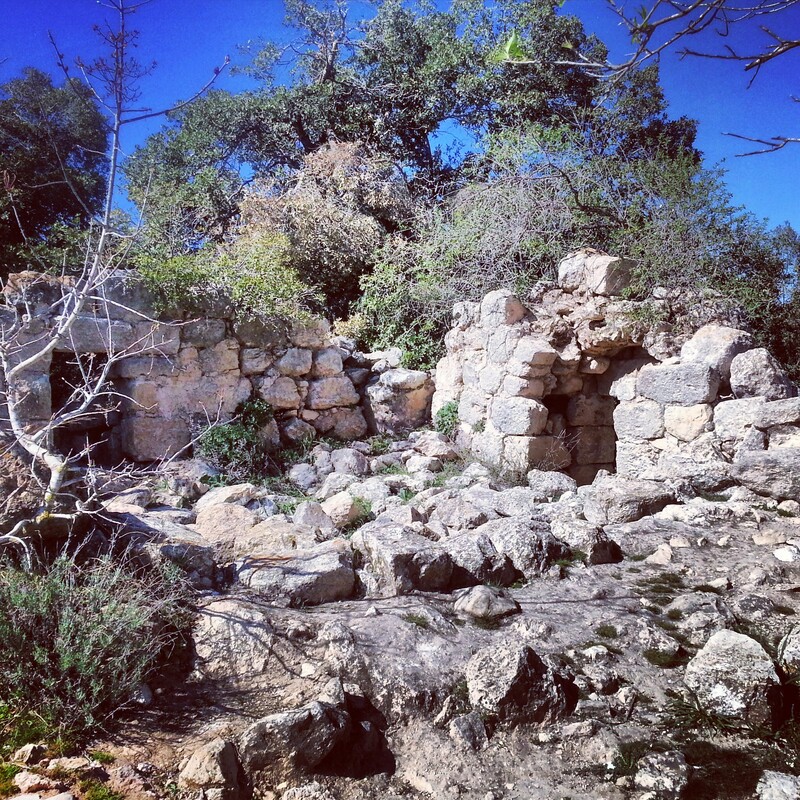 Of even more interest are the archaeological excavations taking place at the tel next to this building – it is not possible to visit at the moment but the remains date back to the First Temple Period and interestingly they have found evidence of Jewish idol worship just a few kilometres from the temple in Jerusalem. The biblical prophets are constantly warning the Jewish people about such activities and here is evidence that it indeed was taking place. 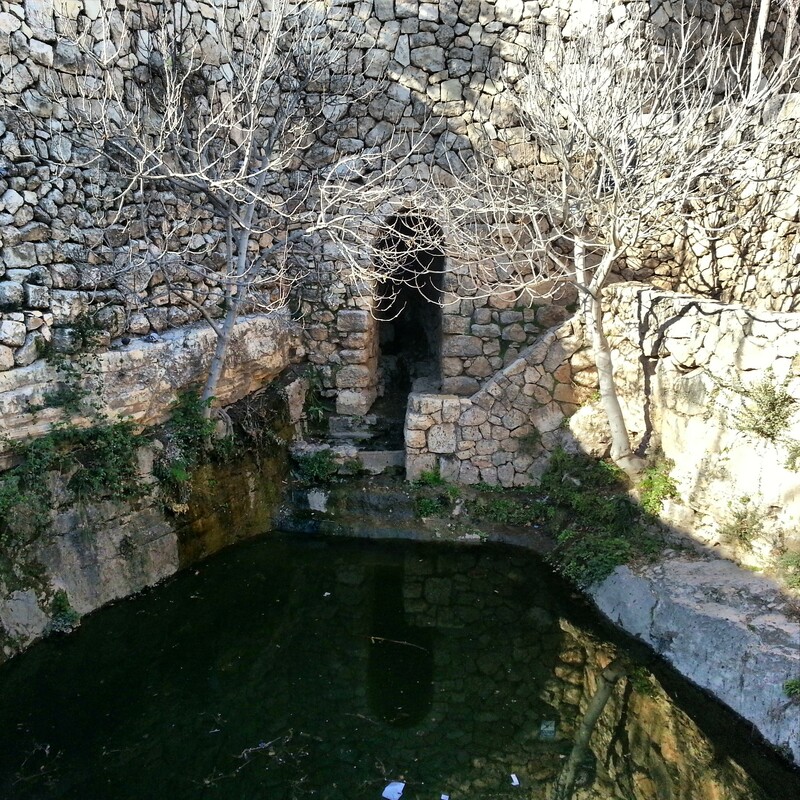 From Motza, we ascended to Tel Tzuba, where we wandered through the ruins of a Crusader castle called Belmont, and enjoyed the beautiful almond trees which are currently in blossom. Looking out from this peak, our guide told us about the geological formation of the Judean Mountains and the impact of the topography on the settlement of the area. Our next stop was at another peak, across the valley, the location of the memorial to John F. Kennedy. Located here because the American Jewish community sponsored the park, we talked briefly about the memorial and its significance, before descending down a trail to an area known as Hurvat Saadim. Here was the ruins tomb of a mysterious holy Muslim woman, called Saida – nothing is known about her but her name has remained attached to the area. While here, our guide took the opportunity to refresh our memory on the local flora – very important with the exams fast approaching! We then journeyed to the area of the Sataf, which brought back memories of my last trip there at the age of 16 on my Israel tour! Accompanied by these nostalgic thoughts, we walked down through the farming terraces which had been constructed on the mountain. We learned about this ancient technique for farming on steep, rocky slopes, which seems to go back at least 3500 years. The terraces here would have dated to this time, although have been constantly repaired and rebuilt since. We crawled into one of the tunnels leading to a spring that irrigated the fields, and visited the area where the ancient technique is being revived, with quite some success, it seems! Our next site was quite different. 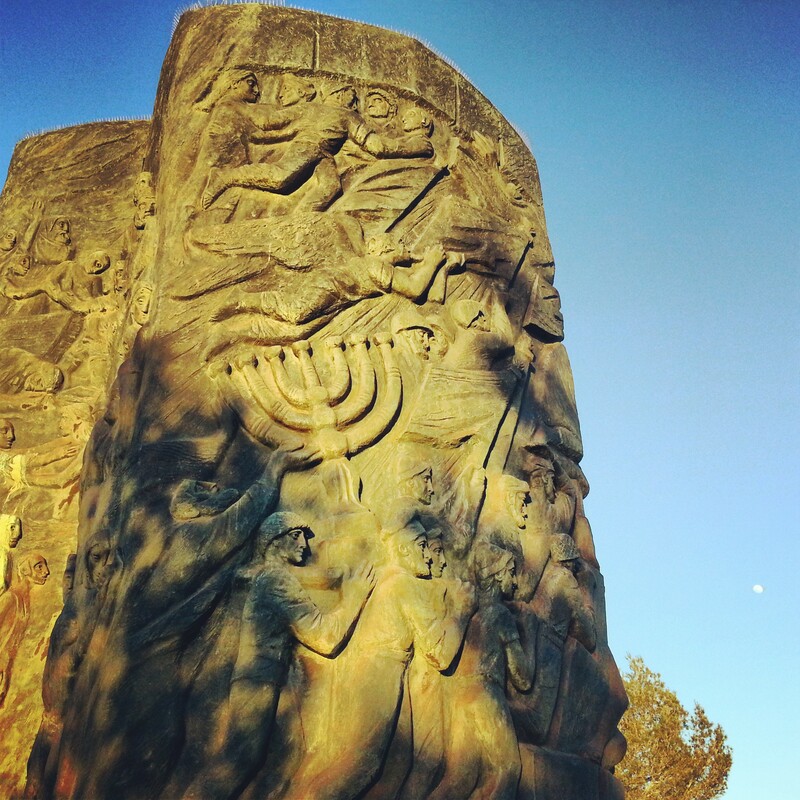 Called the ‘Scroll of Fire’ and located within the JNF Martyrs’ Forest (an area of 6 million trees planted in the 50s in memory of those who died in the Holocaust), this was an imposing bronze sculpture, by Nathan Rapoport, on the theme of the Holocaust and the establishment of the state of Israel. We learned about the symbolism of the sculpture, which ‘quotes’ from various other sculptures of his, some of which can be seen at Yad Vashem, and even references Titus’s Arch in Rome. It was actually one of the most moving sculptures we have seen so far on the course, in my opinion, although its location means it is probably rather out of the way for most groups to visit. Our final visit was just a short drive away at the Pilots’ Mountain. This is the site of the official Israeli Airforce Memorial, but also of a fantastic viewpoint down into Nachal Soreq. We enjoyed the sunset over the Judean Mountains, and then it was time for us to head for the hills!